Dated 1898, this fine Daghestan prayer rug is a rare piece. Featured in ‘Antique Rugs’ publication by R. Benardout in 1983, he catalogued the rarest, unusual rugs from all over the world. 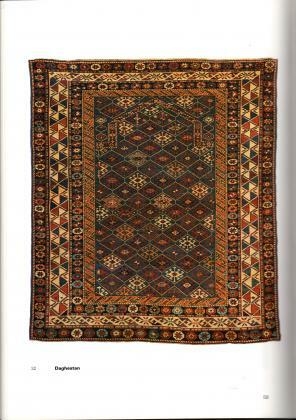 We have several of these early caucasian rugs which also feature in the books.